This year marks the 70th anniversary of Polish film animation, and these programs celebrate the occasion by showcasing some of the undisputed landmarks of the tradition, as well as uncovering lesser-known gems. The series also gestures towards the pre-history of Polish animation, with the inclusion of Franciszka & Stefan Themerson’s legendary avant-garde film THE ADVENTURE OF A GOOD CITIZEN (1937), made by the artists in Warsaw just before WWII. Polish jazz and abstract art, posters in motion and inspired collages created by outstanding visual artists like Jan Lenica and Walerian Borowczyk – it can all be found in Polish animation. These films are almost invariably auteur works: the directors themselves discover the stories, write the scripts, draw, paint, shape the plasticine, sculpt the plaster, and sometimes even record the musical scores for their films. Polish animation has long been celebrated for its dark, black humor and courage in exploring the human psyche. Under communism, it mastered the art of the metaphor, in order to elude censorship. Social satire has always been a Polish specialty. Over the course of these three programs we chart the development of artistic forms in Polish animation from the late 1950s to the late 80s. Abstraction and a minimalistic language of political satire are the main elements unifying these films, as well as a focus on the drama of everyday routine – its repetitive rhythm veiling the mystery of the human condition. The series also attempts to highlight the role of women in the history of Polish animation, providing a rare opportunity to see films not only by Franciszka Themerson, Łucja Mróz Raynoch, and Zofia Oraczewska, but also by Danuta Adamska Strus, Alina Maliszewska, and Ewa Bibańska. With all the works showcased here screening from imported 35mm prints provided by the Filmoteka Narodowa, this series represents a very special opportunity to celebrate one of the most glorious chapters in the history of animation. Guest-curated by Adriana Prodeus. 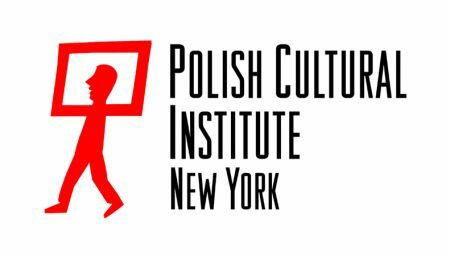 Presented with the Polish Cultural Institute New York, the Polish Film Institute, and the National Film Archive – Audiovisual Institute. For more landmarks of animation on this calendar, see our Ladislas Starewitch retrospective. Click here for more details.